Charles Vincent Gruzanski was a travelled student and teacher of Japanese martial arts, including modern ninjutsu. His son Robert maintains an invaluable website as a memorial to his father’s accomplishments and passions. 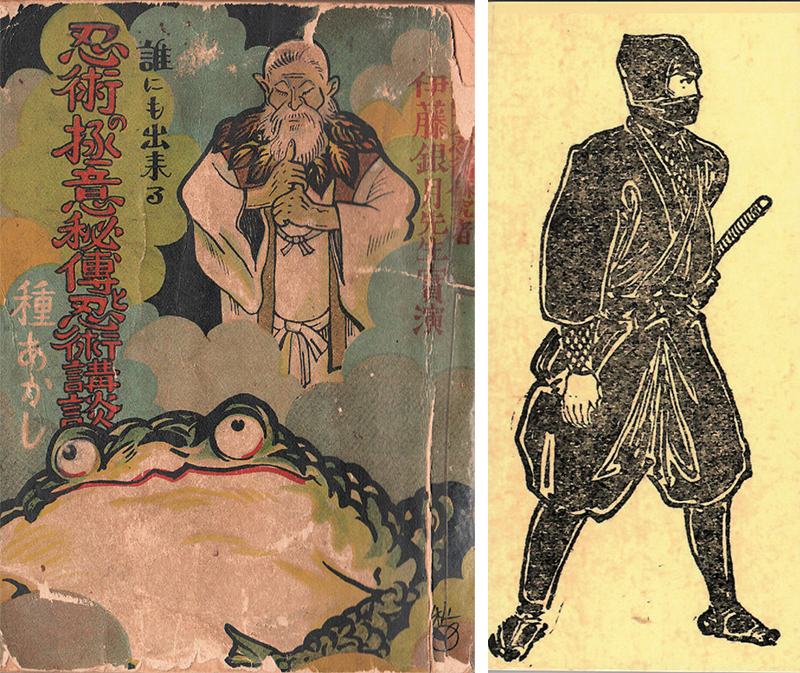 His scans of 1960s Japanese ninja articles and books is well worth your time, and Robert sells and trades rare old titles via the site and eBay. 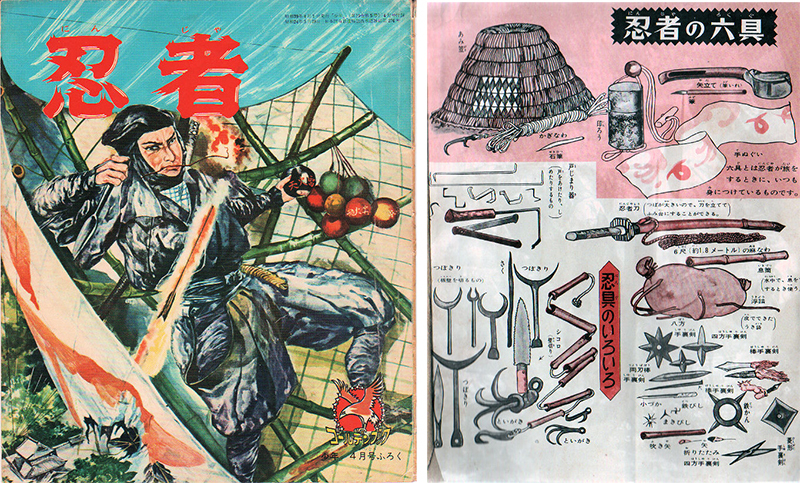 Below: Cover and interior pages from a 1964 booklet simply titled Ninja, a supplement to the Shonen Club boys’ magazine. The impact these books and magazines had on the public perception of ninja cannot be understated. Movies like Shinobi no Mono are widely credited with igniting the 1960s Japanese ninja craze, but decades before home video would allow repeat viewing, it was imagery like this that generations of fans poured over for hours and hours — including the inspired artists, writers and filmmakers of the future. The black suit and commando-style martial arts model of the ninja was being set in stone with every turn of the page. 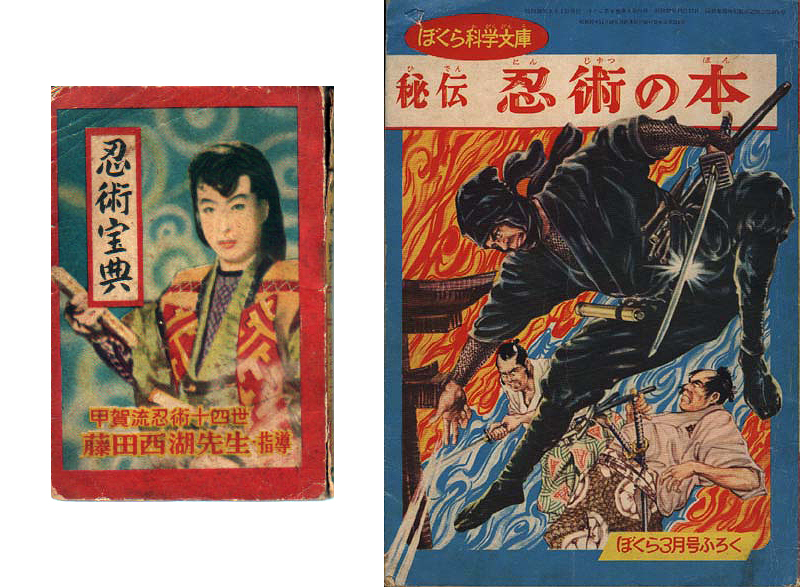 Below are two books featuring texts from the storied ‘last ninja’ Fujita Seiko. 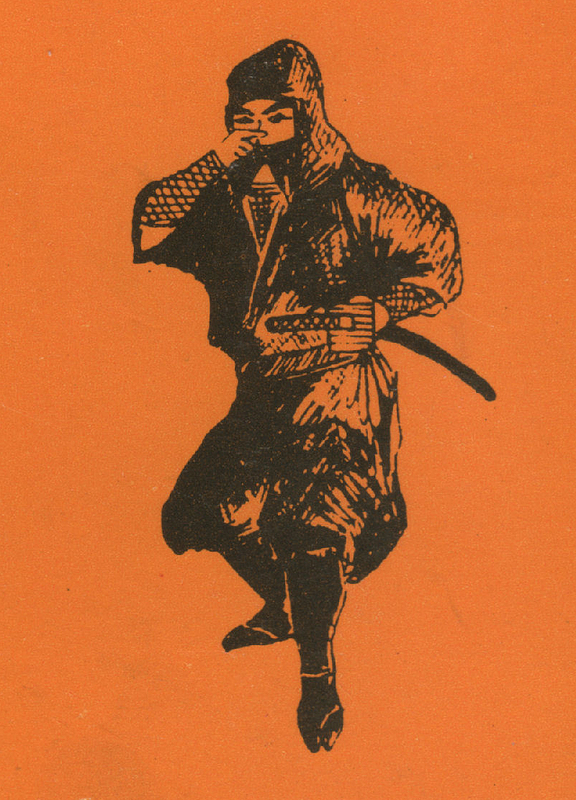 The left, Ninjutsu Hoten, was published in 1955. The right, Hiden Ninja no Hon (Book of the Ninja’s Secret), written by Akira Nakao supervised by Seiko, was published 8 years later. The black suit was gospel by then, especially for art departments under pressure from their publisher bosses to sell books. 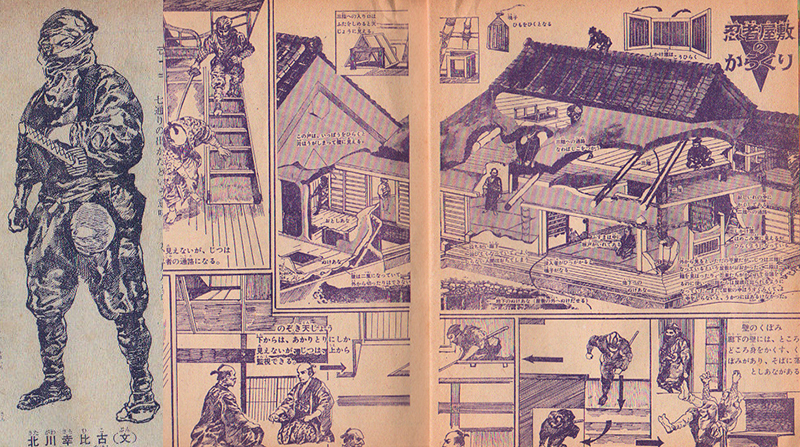 The contrast of this tome from the mid-1920s, probably by Itoh Gingetsu, to this detail of an illustration from one of his latter books Ninjutsu Gendaijin, also demonstrates the how differently ninja were sold from decade to decade. Do yourself a favor and spend a few hours digging through the treasures on Robert’s sight. The collection provides considerable perspective on both how long ninja books have been sold to the public as well as the changing ways they appealed to that public. Many thanks to Robert, as always. He’s allowed me to use his imagery before, and I can’t recommend his site enough. You can contact him about buying and trading old ninja books here.